Can we save the soil from over-use and still feed the world? 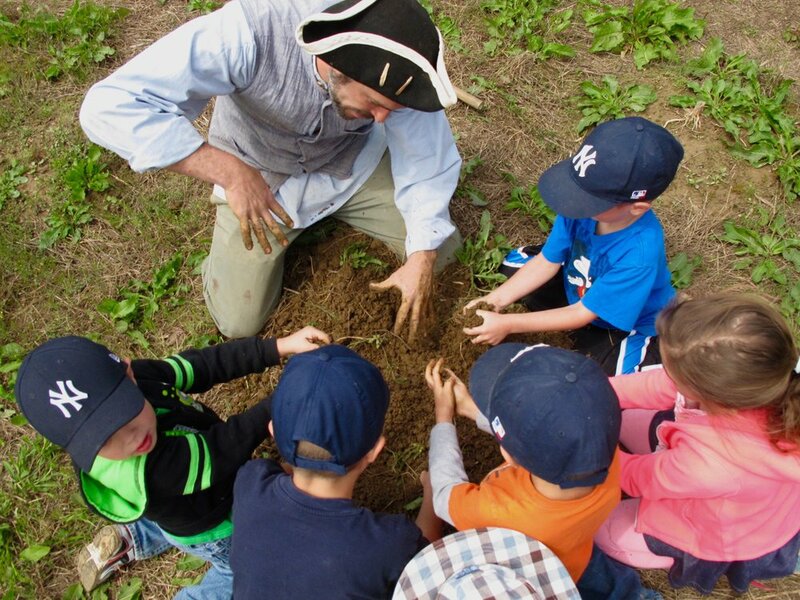 This drop-in, facilitated experience combines a small immersive exhibit with living history interpretation to create past to present connections that draw awareness to an endangered resource: healthy topsoil. 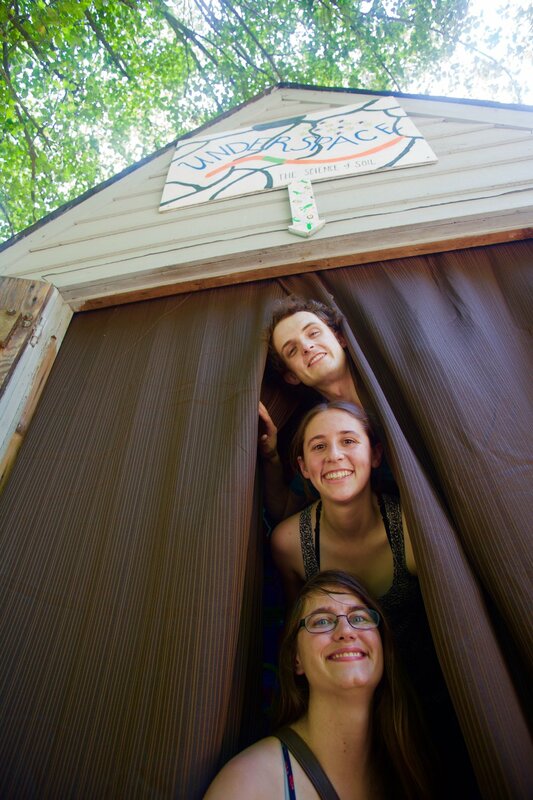 Visitors are part of a story that unfolds in real time as they take on the role of "Soil Explorers" with a mission to save the soil for future generations . . . by traveling to the past. 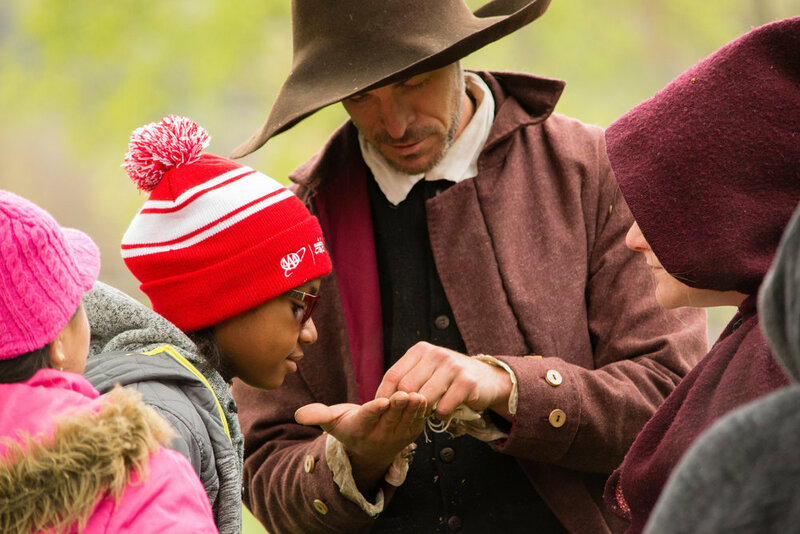 The program runs for 10 weeks every spring and is a part of the Green History weekend experience that are now a part of Accokeek Foundation's brand and mission. 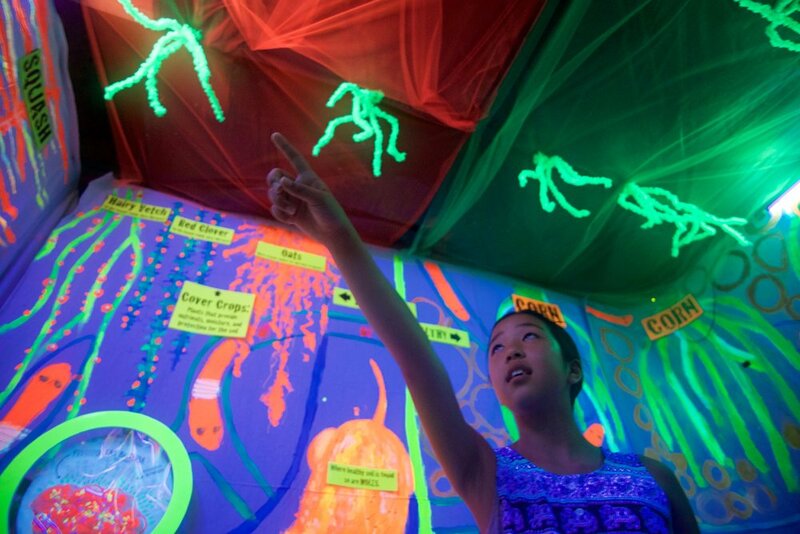 Visitors first explore "Underspace," a former tool shed that was converted (on a budget of $500) into an immersive, glow-in-the-dark exhibit that showcases the differences between healthy and unhealthy soil. Newly anointed "soil explorers" discover the secrets to creating healthy soil: more biodiversity, less plowing, and less chemicals. Then with an important mission to save the soil, they take their new-found knowledge back to 1770, along with some nutrient-rich cover crop seeds. With the land depleted from many years of tobacco planting, and pressure to move west, the colonial family is tempted to take the advice to try new techniques. But doing things a new way is not an easy sell. Change visitors' perceptions about a hidden wonders of resource most of us take for granted - soil, a magical world beneath our feet. Raise awareness about sustainable farming methods in contrast to large-scale conventional agriculture. Empower people to consider that their choices affect the trajectory of history and the health of the planet.